The Peru national football team has represented Peru in international football since 1927. Organised by the Peruvian Football Federation (FPF), it is one of the 10 members of FIFA's South American Football Confederation (CONMEBOL). The Peruvian team's performance has been inconsistent; it enjoyed its most successful periods in the 1930s and the 1970s. The team plays most of its home matches at the Estadio Nacional in Lima, the country's capital. The Peru national team has won the Copa América twice and qualified for FIFA World Cup finals four times; it also participated in the 1936 Olympic football competition. It has longstanding rivalries with Chile and Ecuador. The team is well known for its white shirts adorned with a diagonal red stripe, which combine Peru's national colours. This basic design has been used continuously since 1936, and gives rise to the team's common Spanish nickname, la Blanquirroja ("the white-and-red"). Peru took part in the inaugural FIFA World Cup in 1930 and enjoyed victories in the 1938 Bolivarian Games and the 1939 Copa América, with goalkeeper Juan Valdivieso and forwards Teodoro Fernández and Alejandro Villanueva playing important roles. Peruvian football's successful period in the 1970s brought it worldwide recognition; the team then included the formidable forward partnership of Hugo Sotil and Teófilo Cubillas, often regarded as Peru's greatest player, and defender Héctor Chumpitaz. This team qualified for three World Cups and won the Copa América in 1975. 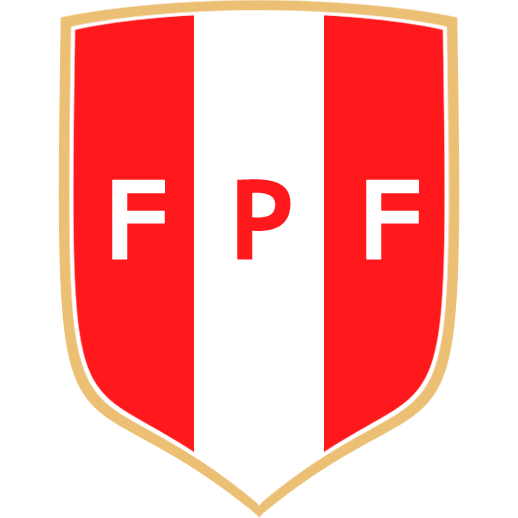 The Peruvian team last reached the World Cup finals in 1982; it has since not qualified, and has not won any major tournament. FIFA temporarily suspended the country from international competition in late 2008 during the Peruvian government's investigations into alleged corruption within the FPF. Under the management of Ricardo Gareca, Peru came third at the 2015 Copa América, reached the quarterfinals of the Copa América Centenario.